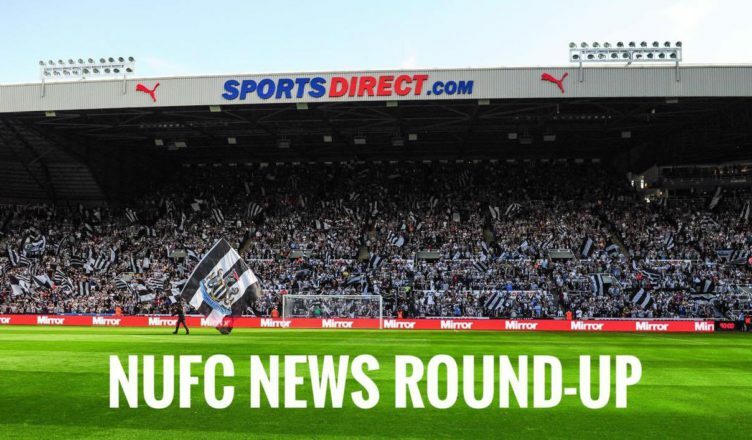 NUFC news round up – Staveley confirms takeover interest & clip of Almiron’s initiation leaked – NUFC blog – Newcastle United blog – NUFC Fixtures, News and Forum. Amanda Staveley has admitted that she STILL holds interest in taking over at Newcastle United – also insisting that she has ‘no issue’ with Mike Ashley despite his claims that she was a time waster – Full story here. Miguel Almiron has finally been initiated as a Newcastle United player – Watch him singing on top of a chair during our training camp here! According to ESPN, Jose Mourinho had identified Jamaal Lascelles as a January target at Man Utd – only for the club to sack him just two weeks before the window opened – Full story here. Jamaal Lascelles has praised NUFC new boy Miguel Almiron, saying he can already tell he’s a ‘nice lad’ and looks ‘really sharp’ in training – believing he has settled in ‘really well’ already – Full story here. NUFC new boys Yannick Toure and Rosaire Longelo have caught the eye in U-23 action – Watch the two combining impressively to score against Southampton here. Amanda Staveley has dropped a big hint when assessing how a club would be run if she took over the likes of Newcastle – stating she’s NOT looking to create ‘another Man City’ in terms of huge investment – Full story here. According to the Chronicle, Chelsea were demanding £30m for Kenedy when the club made a move to bring the Brazilian back to St James’ Park last summer – Full story here. After diving to win a late penalty in West Brom’s 2-2 draw with Nottingham Forest, NUFC loanee Dwight Gayle has been charged by the FA for ‘Successful Deception of a Match Official’ – Full story here. Watch duo of new NUFC signings combine to score impressive goal for U-23’s – Two future stars? Report reveals Chelsea’s incredible asking price for Kenedy – This is getting silly..